For those that suffer from anxiety, it can have a debilitating impact on their ability to function in their everyday lives. About one in five adults in the U.S. have had a mental disorder during the past year, including anxiety disorders. Those who have been diagnosed with anxiety have multiple questions, but one of the primary ones is what caused my anxiety? Anxiety may be caused by a mental condition, a physical condition, the effects of some drugs, or a combination of these factors, according to WebMD. 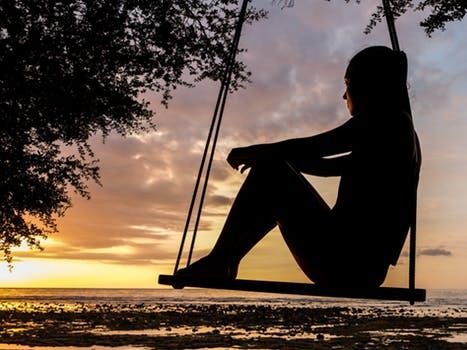 While many of these factors can be controlled through therapy and medical intervention, others wonder if there might be more to anxiety than just these primary causes. The question becomes is anxiety genetic? If so, does that mean I am going to have to deal with an anxiety disorder because a family member suffers with it? As medical research advances, a genetic component has been found for many diseases. While this genetic component does not always mean that you will end up with the disease or condition, it can increase the likelihood that you will be impacted. Researchers who work in the field of anxiety have noted that there appears to be a strong family connection regarding who suffers from anxiety. Basically, researchers have noted that if one member of a family suffers from anxiety, there is a clear familial aggregation. Twin studies have found that genetic factors are at least as important as familial factors for some anxiety disorders, most notably panic disorders and phobias. The problem for researchers is that only a fraction of cases carry a given gene manifest a specified phenotype, making it hard to narrow anxiety disorders to one specific gene or genetic variation. Still, there is much yet to be discovered about how our brains and nervous systems operate. The information being transmitted throughout our bodies using neurons and chemicals called neurotransmitters. The number of neurotransmitters is not known, but scientists have managed to identify at least 100 of these molecules that serve as messengers. One of these neurotransmitters is called anandamide, which helps our brain communicate happiness, ease, and comfort. The levels of this neurotransmitter are regulated by the fatty acid FAAH, which deactivates anandamide by converting it into other acids. Now imagine that your body doesn't have as much FAAH. Thus it doesn't break down the anandamide as quickly. Essentially, some with lower levels of FAAH is primed to send blissful chemical messages for longer periods of time. These lower levels don't happen by accident but appear to be based on a gene variation. The result is that these individuals seem to be able to forget negative experiences easier and have a more mellow attitude overall. Doctors at Cornell have put this variant gene into mice and then given the mice the ability to roam in a maze. The mice that were given the gene appeared to be calmer when in the open parts of the maze, compared to the control mice, who preferred the enclosures instead. Throughout their studies, it became apparent that those with this gene variation are less anxious to start with and recover more easily from stressful situations. 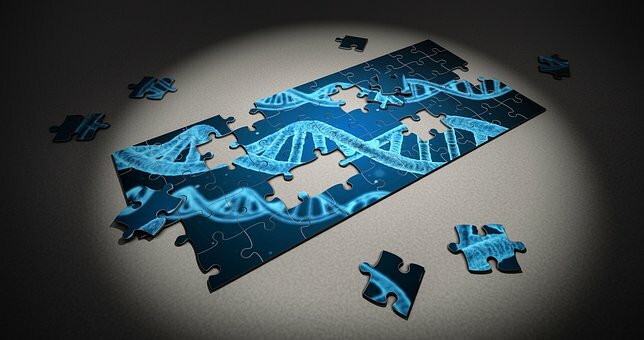 Researchers have also found during complete genome-wide linkage scans for panic disorder (PD) susceptibility genes a potential locus on chromosome arm 7p, and association studies have highlighted many candidate genes that could contribute to anxiety disorders. While it isn't yet a definite genetic connection that predetermines your chances of having an anxiety disorder, some connections are helping researchers look at new ways to address anxiety issues and their associated disorders. If you are suffering from anxiety, there may be a genetic component. But even those with a genetic component, which seems to assist some individuals to be less anxious, can suffer from anxiety disorders if the environmental circumstances are strong enough. Our brain function, which underlies anxiety, is inherited, but the research has shown there is plenty of room for our experiences and environment to have an impact in reducing our chances of dealing with a full-blown anxiety disorder. Still, there is a family component that can make an individual more susceptible to potential anxiety disorders. In the journal, Proceedings of the National Academy of Sciences, a study headed by Dr. Ned Kalin, a psychiatrist at the University of Wisconsin-Madison, showed that your family history explains about 30% of the variation in early anxiety. Kids with extremely anxious temperaments are at a 50% risk of developing a mental disorder later in life, noted Dr. Kalin. He hopes to find more evidence of the brain basis for this temperament, which can then be used to create interventions to nudge kids away from anxiety disorders. In his research, Dr. Kalin also found more activity in anxious brains, as if the parts of the brain that deal with normal threats have gone into a supercritical mode. "We believe that our study shows that the overactivity of that system is inherited from our parents," said Dr. Kalin. This overactivity may leave you more vulnerable to developing anxiety later on. But with 70% of the variation in risk of these disorders not having a genetic component, it is clear that treatment and intervention can have a broad impact. It is important to note that just because your parents have anxiety does not mean that you are destined to develop the disorder yourself. However, even if the anxiety disorder is not encoded in your genes, the ones you inherit from your parents could play a role in predisposing you to an anxiety disorder. Additionally, being exposed to an environment where someone has an anxiety disorder can give you behavioral patterns that impact the way you cope with anxiety. During our lives, all of us will feel anxiety from time to time. Facing problems at work, school, or in our home life can impact our anxiety levels. However, with an anxiety disorder, the distress is magnified and can be disabling. 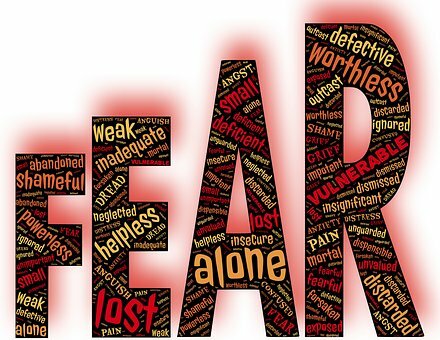 Essentially, these individuals live with a high level of fear and worry, which can trigger stress responses. 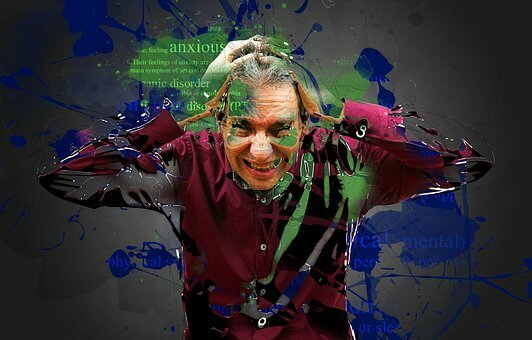 Anxiety disorders is an umbrella for several conditions, including panic disorder or panic attacks, social anxiety disorder, specific phobias, and generalized anxiety disorder. The symptoms of these disorders can manifest physically but are often triggered by a combination of changes in your brain and environmental stresses. It is important to keep in mind that this is a short list of symptoms. Some individuals who suffer from an anxiety disorder might suffer from just a few of these symptoms or all of them. With so many people suffering with a form of anxiety, it is important to focus on what you can control, regarding addressing your anxiety. There are multiple options, including intervention strategies, that can give those with anxiety disorders the ability to manage their anxiety. One of the most important things to recognize when dealing with anxiety is that you are not alone. There are options available. One of the first methods is medication. It is important to understand that any medications need to be prescribed by a doctor and you should consult your doctor before beginning any prescription regimen. Anti-depressants can be effective in dealing with anxiety disorders. Anxiolytics are also drugs that lower anxiety. You can also make changes to your routine, including eating right, exercising, and getting enough sleep. Exercising can help to release brain chemicals that improve your mood and reduce stress. Creating a relaxing bedtime routine can assist you in getting enough sleep, which can help you to reduce your stress levels. Another treatment option is psychotherapy, which is a type of counseling meant to address emotional responses to mental illness. Part of this counseling involves helping you to understand and deal with your anxiety disorder. One of these types of psychotherapy is cognitive behavioral therapy, which teaches you how to recognize and change your thought patterns and behaviors and help you to recognize your triggers for an anxiety or panic attack. The therapist will work with you to create new patterns by directing attention to the assumptions you make about yourself and others, both positive and negative. Additionally, build a support system of individuals who can be a source of encouragement and help you by providing a listening ear. If you suffer from an anxiety disorder, it is important not to isolate yourself. Connecting with a local or online therapist can help you to address your anxiety disorder and give you the coping skills to identify your triggers and recognize when your anxiety levels are starting to increase. Additionally, your therapist can work with you to create techniques that can help you to calm yourself during an anxiety attack. While you may not be able to determine your genetics, you can actively manage your anxiety disorder, thus having a positive impact on your lifestyle. Better Help can assist you in finding the right online therapist to assist with your anxiety disorder today. Can I Cure Performance Anxiety By Myself?